Snapshot – The compact sedan segment hosts cars that are nearly as compact as B+ segment hatchback but that offer the ‘status’ of a sedan. In terms of pricing too, compact sedans are scarcely more expensive than the hatchbacks they’re based on. So, it comes as no surprise that the sub-4 meter compact sedan segment, quite unique as it is to India, brings in the big numbers month after month. Numbers, that see automakers queue up with new offerings ready to snag buyers. 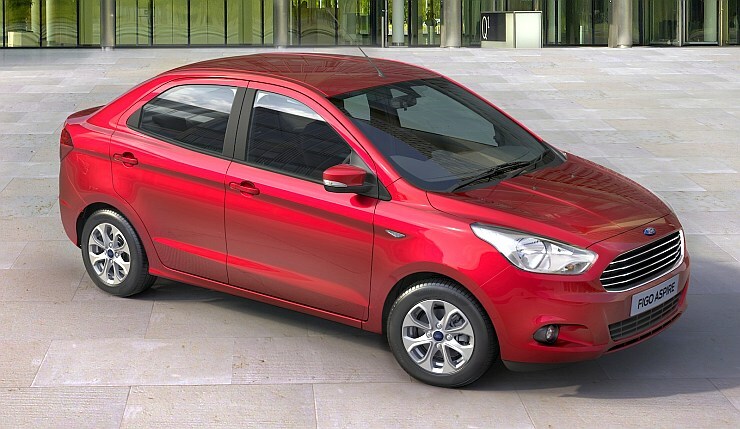 The Ford Figo Aspire will soon be India’s newest compact sedans, and here are five reasons why you should wait for this particular car. When you compress something, there’s a fat chance that the thing compressed comes out looking worse than the original. The Swift Dzire’s looks don’t inspire while the Hyundai Xcent is perhaps the pits when it comes to top heavy styling. The Honda Amaze is passable and the Tata Zest is quite a looker, at least if you ignore its too-tall-for-comfort profile. 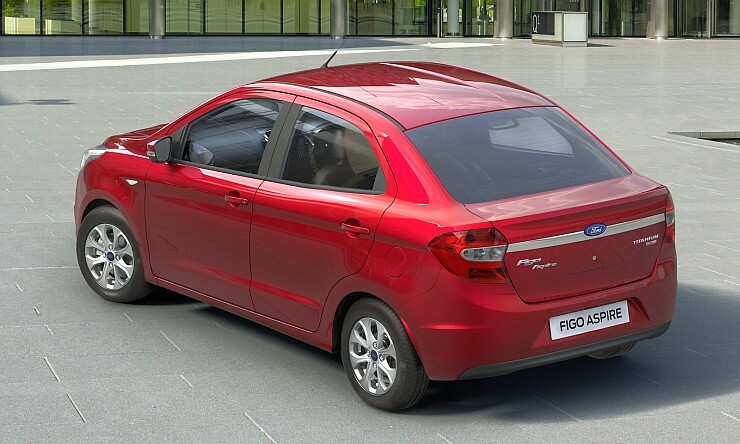 Amid this design mishmash of sorts, the Ford Figo Aspire comes across as a swan among ducks, and is perhaps the best looking compact sedans in the Indian car market, ‘styling is a matter of personal preferences’ notwithstanding. When you’re building a car whittled down to uneasy proportions just to seek excise cuts, you don’t really go gung ho about performance. This has been the tale across compact sedans sold in India, none of whom can even be called warm as far as going all out is concerned. Ford India wants to do things differently. Considering the fact that it is the Ford Classic sedan that the Figo Aspire aspires to replace, the 1.5 liter Ti-VCT, naturally aspirated petrol motor with 109 Bhp-145 Nm on tap, seems a snug fit. So there, if you are looking for perky performance among compact sedans, the Figo Aspire seems to have just the right hardware. were never really associated with automatic gearboxes. Well, that was until the twin clutch automatic transmissions came along. Ford’s flagship transmission in India is the 6 Speed PowerShift DCT that is only found in the EcoSport 1.5 Petrol. Now that the Ti-VCT mill displacing 1.5 liters will make its way into the Figo Aspire, so will the twin clutch slushbox. A potent combination of a powerful petrol motor and a quick shifting automatic gearbox give the Figo Aspire plenty of poke and convenience. Cars with the Blue Oval badge on the bonnet usually delight drivers with the way they conduct themselves on the road. Ride and handling packages on Ford cars seem tailored to put the thrill back in the most mundane of commutes. Just try driving the Figo hatchback or the Fiesta sedan, and you’ll get what we’re getting at. The Figo Aspire, based as it is on the previous generation Fiesta platform, and the spiritual successor to the Classic, is likely to get embedded with the Ford ‘Driving DNA’. We only hope that the men in white coats at Ford of Brazil, haven’t traded steering feel for lightness, like how they’ve done with the EcoSport’s electric power steering. Trial production of the Figo Aspire is already on at Ford’s spanking new manufacturing facility in Sanand, Gujarat. The compact sedan is tipped for a launch in June 2015, which is just months away. So, if you’re in the market for a compact sedan, holding out and waiting for a couple of months will expand your choices. The arrival of a new competitor also forces incumbents to line up discounts to attract buyers. So, if you can postpone your purchase by a couple of months, it’s best you do so. « Maruti Suzuki Vitara Brezza Market Name of YBA Compact SUV?